We waited for this night for a year. Everyone was worshipping. I was one of 70 women in the room and I heard the Lord clearly, "It doesn't matter what size the flame, I will fan it." It was His promise for the women, for the weekend, for me. I don't know where you are. You might have only a mustard seed of faith left or more than enough to go around. He sees you and He will meet you right where you are. He knows just what will get you ignited. I stood there worshipping, grateful I had even made it to the conference, as I thought of the battle I had just won. A battle for my family, my destiny, and my calling. I was on the mountaintop. He met me on that mountaintop literally and figuratively and He fanned the flame. His fresh wind blew all weekend and I was transformed in a way that is still hard to put into words. I encourage you, call on Him. No matter where you're at, call on Him. He will be found and He will answer you. Before you pick up the phone to call yet another friend or send another text, get on your knees and tell Him like it is. He already knows, but just like you would want your best friend to tell you the details of her life, so does He. He cares and is always ready to listen. 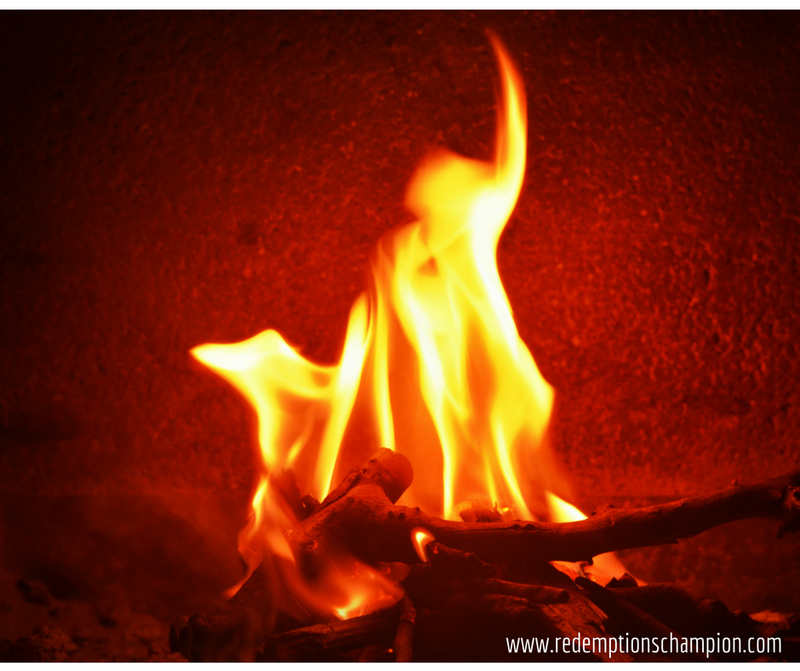 Let His Spirit blow through your life, your circumstance and ignite something in you. Perfect for you and perfect for your situation. Just like a windy day, your hair might get a little messy and things may get moved around, but trust Him. He will take that tiny flame and fan it for His glory and your good.